This Delicious Cappuccino Mookaite, Jasper Necklace and Earring set. 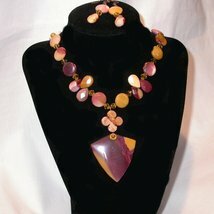 One of a kind hand crafted semi-precious stones jewelry set you love to wear. Eye catching hand carved pieces are used for great composition and dramatic appearance. Unfortunately picture dose not do a justice. 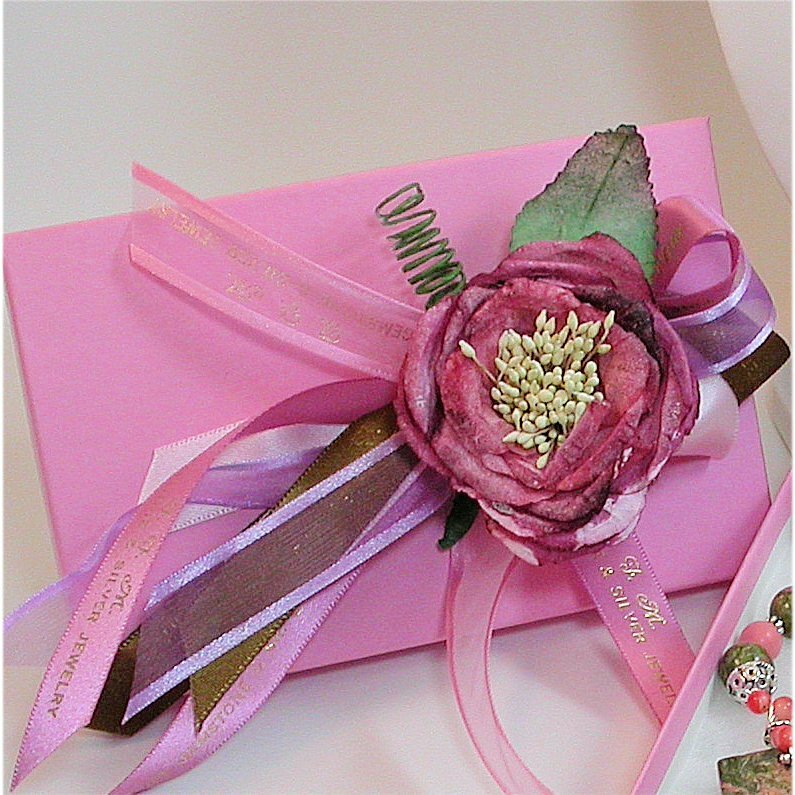 *This item is great for gift giving too and comes in our hand decorated gift box. Your hand written greetings can be included free of charge. 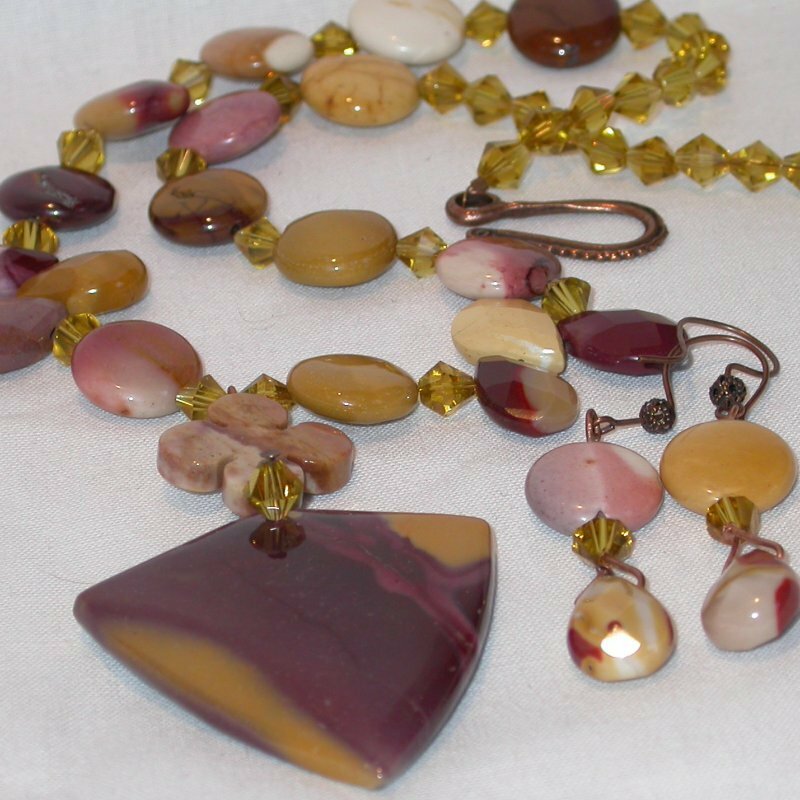 The semi-precious stones are sometimes "Mookite", "Mookalite" or "Mookarite". 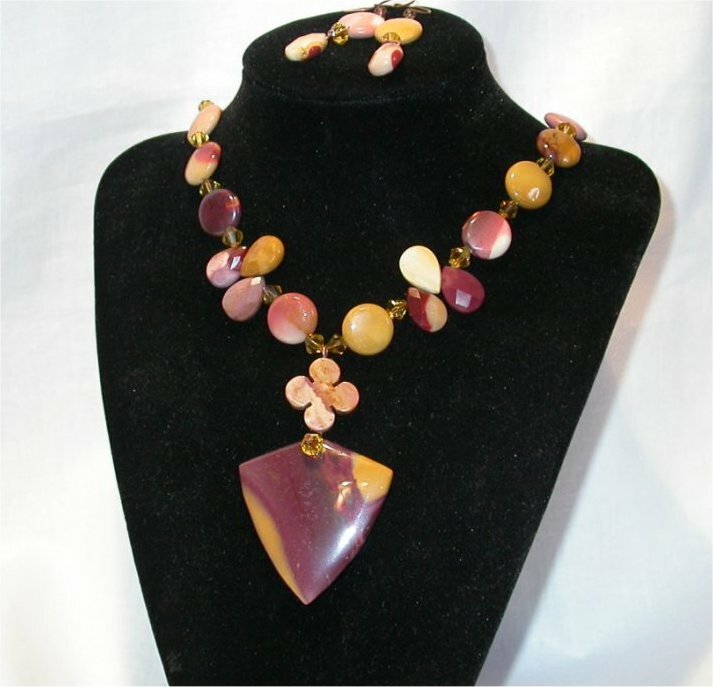 Moukaite is a stone of Mother Earth that contains sacred earth energies, and can be used for planetary healing. 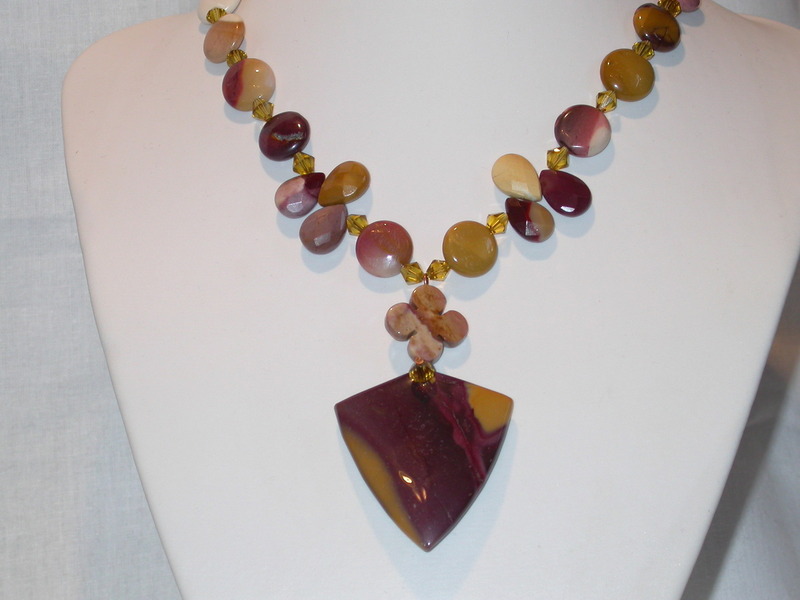 It is known as a healing stone that lends strength, promotes energy, helps with water retention. Moukaite promotes the acceptance of chance. helps us to show kindness to ourselves as well as others, helps with decision making, encourage the desire for variety and new experiences and shields against negative or dangerous situations.